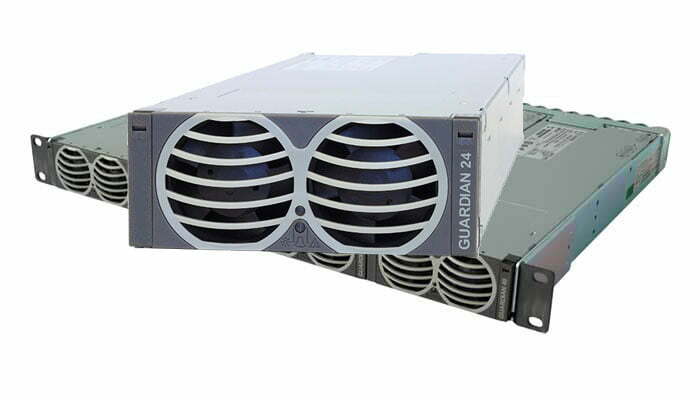 The Guardian FMP20.24G 75 amp rectifier is a 2000W, AC to DC power-factor-corrected (PFC) power supply unit that converts standard AC mains power into DC output in the range of 23 – 28.5VDC for powering telecommunication, data communication and other distributed power applications and can be used in hot-swap redundant systems. The 75 amp rectifier incorporates resonance-soft-switching technology to reduce component stresses, providing increased system reliability and very high efficiency. A wide variety of distribution options are available to provide the maximum system flexibility for a wide range of communications applications that demand efficiency, reliability, and flexibility including wireless base stations, remote switches and broadband access. Status information is provided with front panel LEDs and via RS485 management interface. The FMP20.24 75 amp rectifier meets international safety standards and displays the CE-Mark for the European Low Voltage Directive (LVD). 1. Ratings are up to the Max. Temp. ambient indicated. See individual product pages or datasheets for deratings at higher temperatures. The absolute maximum ambient temperature is 75°C.